We believe the top quality beef comes from the top quality farms where the farmer understands his cattle’s needs and makes decisions based on their welfare. 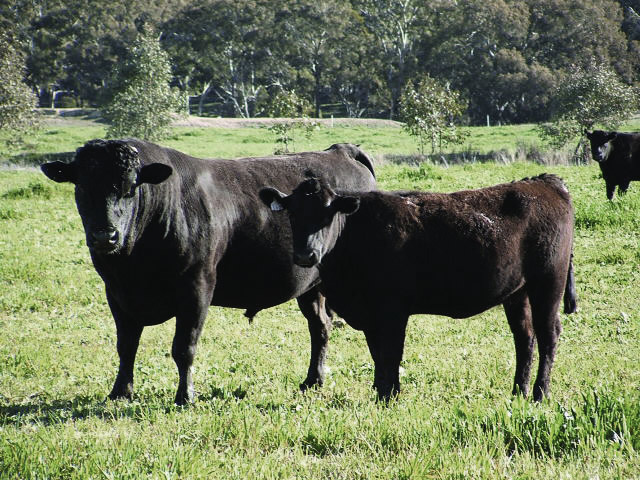 As a result of our ‘feeding and breeding’ program, sought-after traits of full blood Wagyu are expressed in our Gundooee Organics herd. Clean and mellow flavours deepen with each bite and are punctuated with just the right amount of fragrant fat – you can’t mistake Gundooee Wagyu for any other. We take a more natural and regenerative approach and let our stock graze in open paddocks on a diverse variety of deep-rooted native species. 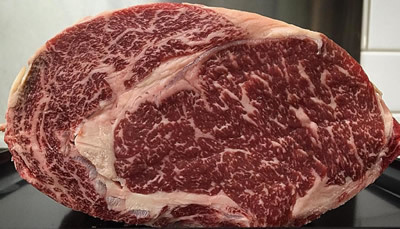 This predominantly native pasture diet allows our cattle to express their Wagyu marbling potential whilst maintaining a balance with flavour, texture, health, price, animal welfare and sustainability. “You are what you eat” – a great quote by food writer Michael Pollan. Gundooee beef is distinct because of what our cattle eat. Their diverse diet is very nutritious. On average, each cow/steer (more on terminology in the Glossary section) can put on 0.6kg per day! This translates into healthy fat in our cattle. Their fine and even marbling has high levels of monounsaturated fats and a better ratio of Omega 3 and 6 fatty acids – not to be overlooked in a healthy diet. We are looking at testing Gundooee beef for nutrient-density so stay tuned! 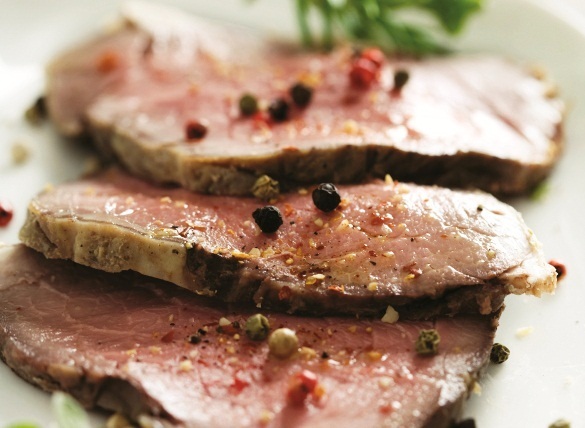 In the meantime, click here to get geeky about fatty acid profiles in beef. Our sale cattle are all a second cross Wagyu, which means they are 75% full blood Wagyu and 25% Angus. They are the offspring of full blood Wagyu bulls and first cross cows (50% full blood Wagyu and 50% Angus). This second cross delivers a clean and mellow beef that develops between bites. Consumers can have confidence in our product. Our meat is DNA traceable back to the farm and accountability protocols exist at every link in the supply chain. Gundooee cattle graze on open paddocks for the entirety of their lives. The cattle rotate between 500ha of grazable fields divided into 30 paddocks. On average, cattle are moved every 6 days. However, this number is not the law. It is more important to move cattle depending on the quality and amount of feed (grasses) available. Plants get a chance to rest and put down more roots. Read more about the advantages of rotational grazing here. In the winter, we sow a Green Oat crop into existing native pasture – ‘Pasture Cropping’ – as the growth of our perennial grasses slows and some species go dormant. The Green Oats act as a supplementary food source during this period. Our feeding of the cattle has proven successful so far, with cattle gaining up to 1.5kg per day during high season just on native grasses! More importantly, we find our cattle are rarely troubled with issues like bloat, toxicity and parasites that are often associated with high-input/high-output operations.